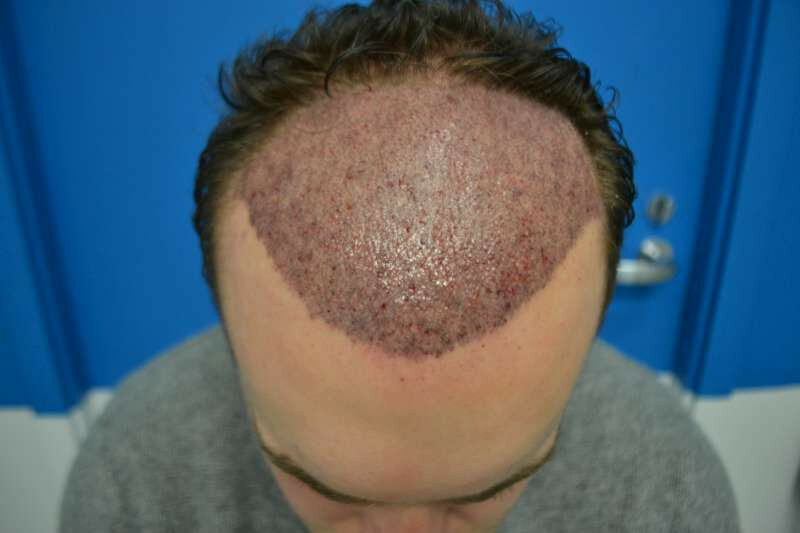 This patient from the UK had a previous failed FUT surgery with another clinic abroad at the young age of 19 he was unsure of the number of grafts that he received. He contacted me in 2012 and I recommended that he start on propecia which he did a few months before his surgery in April 2013. 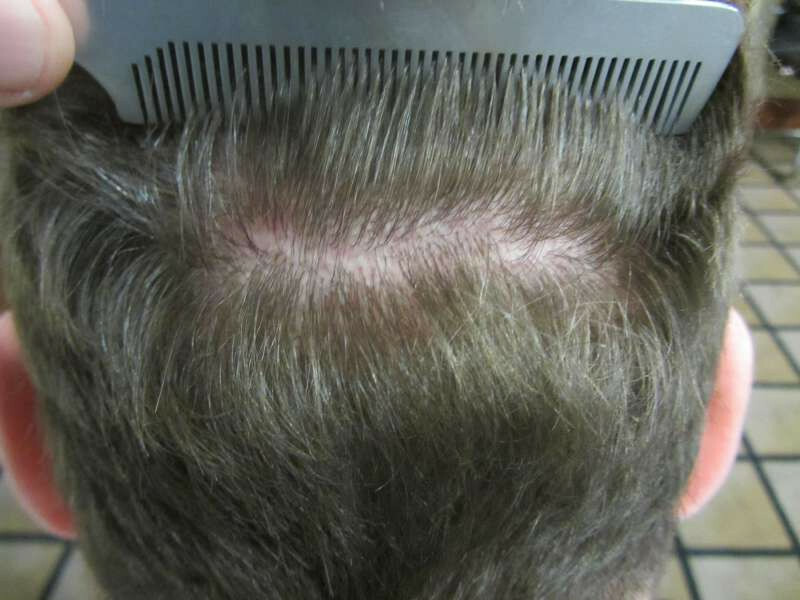 Dr Hasson transplanted 4814 grafts to the front, mid scalp and approaching the crown. The crown has shown some improvement from Propecia alone. I was able to meet up with this patient last month to take some photos and video. He is now enjoying his life as a 25 year old should be and is no longer worrying about his hair.